UPDATED: Thu., June 7, 2018, 5:45 p.m.
Amazon is placing Alexa at the center of the living room with a new video streaming box that aims to replace remotes with voice commands. 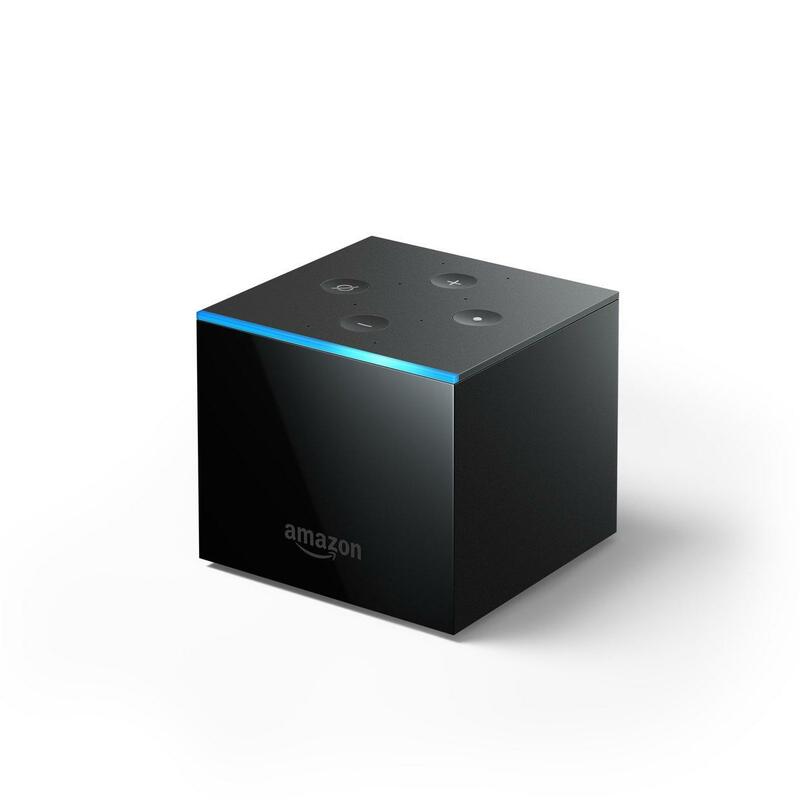 The Seattle company on Thursday announced the Fire TV Cube, an internet-connected media player capable of toggling between set-top boxes, over-the-air TV and streaming services, all using Amazon’s voice-activated software. Commanding televisions with voice isn’t new ground, for Amazon or the industry. Amazon’s existing Fire TV streaming devices can be controlled by a remote that comes with a microphone. Both Amazon’s Echo smart speakers and rival Google Home devices can route commands to each company’s streaming stick, and television makers and cable providers offer their own voice capabilities. But Amazon’s new device is the first time the company has bundled a Fire streaming device with something resembling a complete Alexa experience, a bet that the popular digital assistant might prove as useful to people in managing their entertainment system as Echo speakers were in the kitchen setting timers or playing music. Fire TV Cube comes with an array of eight microphones – one more than the second-generation Echo speaker released last year – giving the device the ability to hear commands spoken from across a room. A strip on the front of the device lights up with the familiar blue in response to the “Alexa” wake-word. On the top of the six-sided block are manual volume-control and microphone mute buttons that the device shares with the Echo. The whole thing is about the size of a coffee mug. “You’ll never guess how we came up with the name,” Marc Whitten, vice president for Fire TV, deadpanned in an interview. This isn’t Whitten’s first effort to build a living room entertainment hub. The longtime engineering executive spent 14 years working on Microsoft’s Xbox, most recently overseeing development of the Xbox One, the console that aimed to blur the lines between hard-core gaming and living room entertainment. It also supported voice and visual input, though in a more rudimentary form than Alexa’s more developed set of skills. He joined Amazon in 2016, after a two-year stint at speaker maker Sonos. “The thing I’ve always dreamed of is not having to learn the technology” to make it work, he said. The living room is important territory for Amazon, which is investing heavily to build both the devices people use to watch television and streaming services, as well as to produce some of the content they watch with its original studios. On Fire TV Cube, a spoken “launch Netflix” calls up the streaming service, while similar commands toggle to live TV channels or search the catalogs of multiple streaming services for a movie or TV show. It will also read out responses to Alexa staples like questions about the weather and can be used to control smart home devices – light fixtures and video cameras, among other appliances – that are designed to play nice with Alexa. Not all of Alexa’s capabilities make it onto the Cube. Whitten said calling and messaging would be absent, at least for now. His team wasn’t sure how to link those in a living room setting. And the device doesn’t have the ability to communicate with bluetooth speakers, so, while the Fire TV Cube can turn the television into a music player, it stops short of managing other speakers throughout the home. Whitten said this device was a starting point. Its incorporation of Alexa allows it to grow as people add more applications and functionality to the software. The Fire TV Cube costs $119. Amazon says it will ship beginning June 21 and be available that same day in Best Buy stores. Published: June 7, 2018, 1:31 p.m. Updated: June 7, 2018, 5:45 p.m.